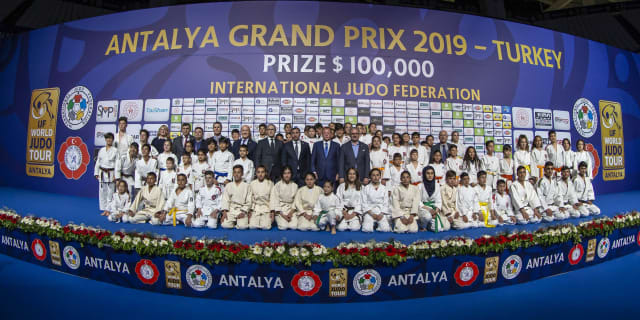 The judo family came together as only it can on Saturday afternoon to mark the International Day of Sport for Development and Peace during the second day of the Antalya Grand Prix 2019. IJF recognises International Day of Sport for Development and Peace! IJF staff, referees, coaches and officials were among those who gathered on the stage to show the white card on a day when a group of refugees from the small town of Kilis were given an access all areas tour by by Nicolas Messner, Judo for Peace Director, Mehmet Yilmaz, Competition Manager of the Turkish Judo Federation and Panama star Miryam Roper who fought on Friday. The well wishes and positive emotions of the children left a lasting impression for those in the stadium and their attendance, ahead of a new series of Judo for Peace activities next week, was appreciated by all. 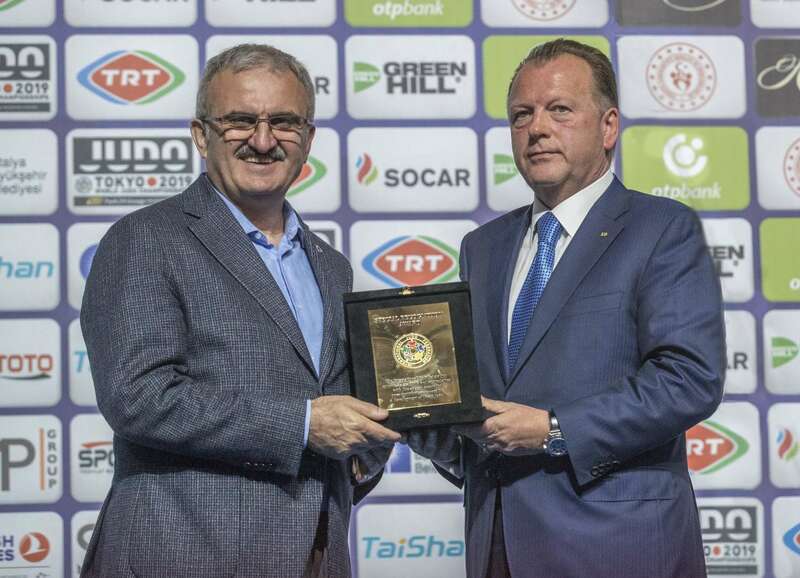 Ahead of the final block, guests of honour from the IJF and Turkish Judo Federation joined the Antalya Governor Mr. Münir Karaloglu on the stage for the opening ceremony. Governor Mr. Münir Karaloglu said: “Dear President Vizer, dear President Huysuz, dear athletes, fans and everyone here, we are very happy to have you here in capital of tourism in Turkey, Antalya, welcome to you all. Antalya is tourist capital of Turkey and we would like to have more events here in the future. 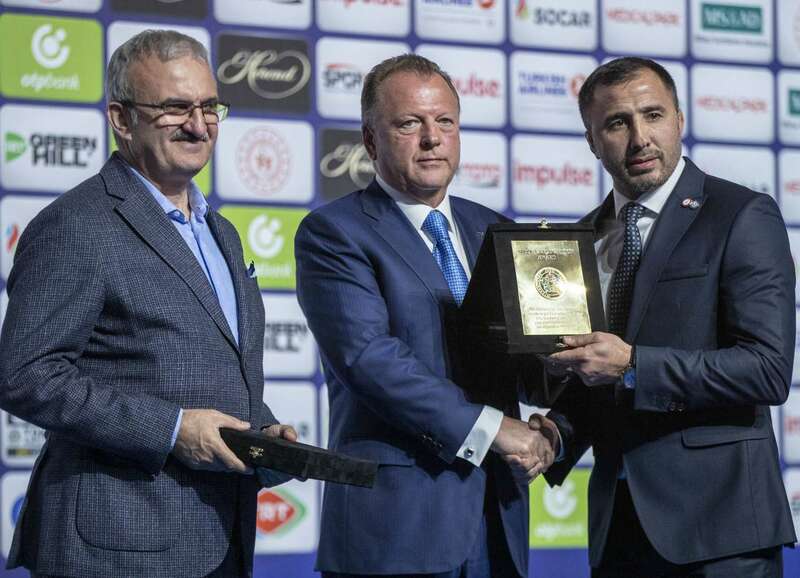 “Yesterday in the tourism fair of Antalya, we made an agreement all together between the IJF, TJF and Ministry of Youth and Sport to deliver judo in schools as part of the educational system across Turkey. 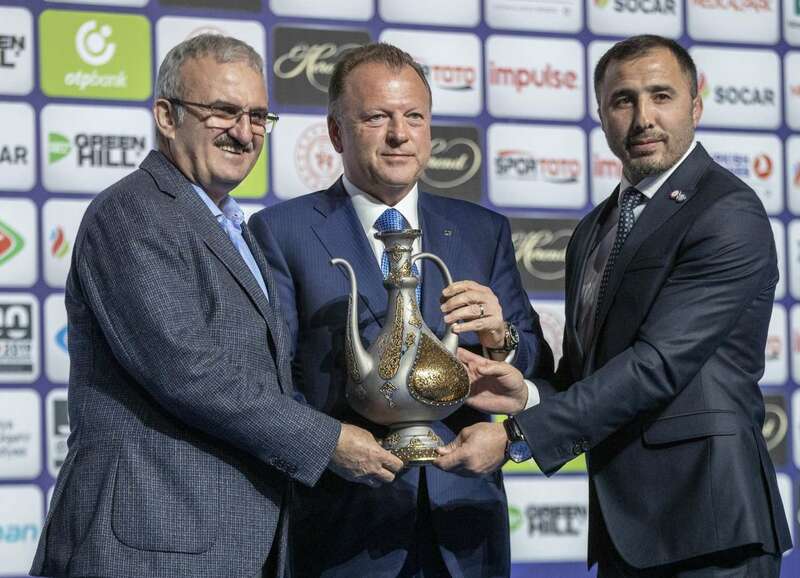 Mr. Marius L. Vizer, IJF President, said: “Dear Governor, Dear President Huysuz, dear judo fans, it’s a great occasion to be here in Antalya once again. We have an active and successful social project here in Kilis and we’ve signed an agreement for a judo in schools program in partnership with the Turkish Judo Federation and the Ministry of Sport. 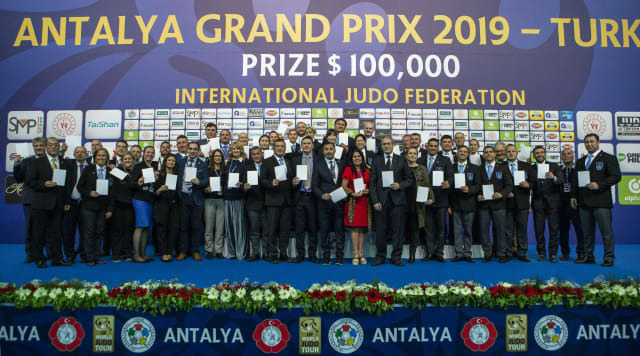 Watch day three of #JudoAntalya2019 here on the IJF website on Sunday.